Will the government go for tougher measures in an election year? For the second time in its history India’s beleaguered national carrier, Air India, failed to attract any takers. Now everybody is selling their ideas to the government on how to go about it. Debt-laden state-owned carrier, Air India, drew a blank as it failed to attract any bids for its sale by May 31. No doubt, this is a blow to the privatisation process. The government offered to sell 76 pc of Air India. The decision to retain 24 pc has reduced the bid value. About 40 pc of AI’s 27,000 employees are permanent staff- a huge financial burden. Air India’s domestic market share has shrunk from nearly 20 pc in 2010 to 13 pc today. There are accumulated losses of USD 7 billion and most of its revenue goes into interest payments. The prime real estate that the carrier owns is not part of the deal. There is political uncertainty due to the general elections scheduled to take place in less than a year’s time. Not the first time: This is not the first time that the Indian government has tried to disinvest the national carrier. The previous Atal Bihari Vajpayee-led NDA regime during 1998–2004, had seriously attempted company-level privatisation, ‘strategic disinvestment’, including the sale of two airlines -Indian Airlines and Air India. Due to lack of credible offers, the proposal fell through. The road ahead: Employee unions in Air India and allied services have celebrated the no show of bidders for the state-run carrier. The core group of secretaries in disinvestment, led by cabinet secretary P K Sinha and including Civil Aviation secretary Rajiv Choubey, DIPAM secretary Atanu Chakraborty, law secretary Suresh Chandra, finance secretary Hasmukh Adhia, commerce secretary Rita Teotia, and Economic Affairs secretary Subhash Garg will meet and discuss the further course of action. The group will submit its recommendations to the Group of Ministers on Air India, which will then hold its meeting. The time and date for the GoM’s meeting has not been finalised yet. Ideas and more ideas: From Right to Left to Centre and India Inc. are hitting the national carrier with their ideas on how to fix it. Swadeshi Jagran Manch, the outfit of the Rashtriya Swayemsevak Sangh-the ideological mentor of the ruling front, specialising in economic issues had strong reservations. Earlier, when the government issued the expression of interest for privatising Air India, the RSS had cautioned the government on the sale and the RSS chief Mohan Bhagwat had opined that the government must not sell more than 49 pc stake, and the buyer must be an Indian firm. 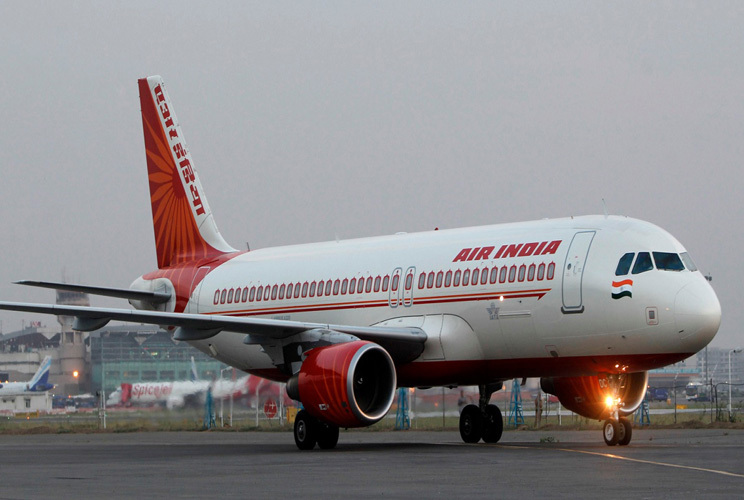 The Centre for Asia Pacific Aviation (CAPA) suggested a comprehensive restructuring of Air India under a special administration, to be followed by 100 pc divestment with less complex terms. Noted industrialist, Mahindra Group chairman Anand Mahindra, who was former Air India board member, called for “full autonomy” for the chairman of the national carrier and being insulated from political pressure. “Resolve that a sale will be made but only after a turnaround,” Mahindra said and suggested locating and appointing a government official with “the potential and passion of an E Sreedharan as chairman and CEO”. Will the government go for tougher measures in an election year? We can only wait and watch!